Drivers Luke Youlden and David Reynolds just won one of the most incredible races on earth for lovable underdogs Erebus Motorsport: the Bathurst 1000. It’s hard not to love the young Erebus team. They’ve only been around since 2013, but they’re owned by an awesome, no-BS woman named Betty Klimenko, and they had the guts to try racing wacky loud Mercedes in V8 Supercars. The team has since moved on to Holdens, though, which have been more competitive than the old Mercs. 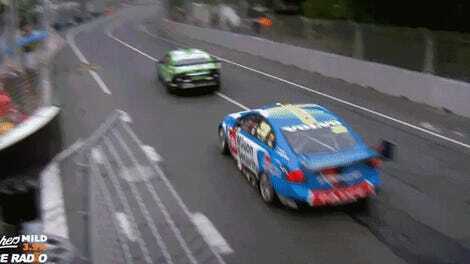 Case in point: holy crap, they just won Bathurst. 2013 Bathurst winner and 2015 V8 Supercars champion Mark Winterbottom of all people ate the wall on lap 160 of 161, but the series opted to just throw a regional yellow flag instead of bringing out a safety car since it was so close to the end. Reynolds kept the lead for Erebus until the checkered flag. 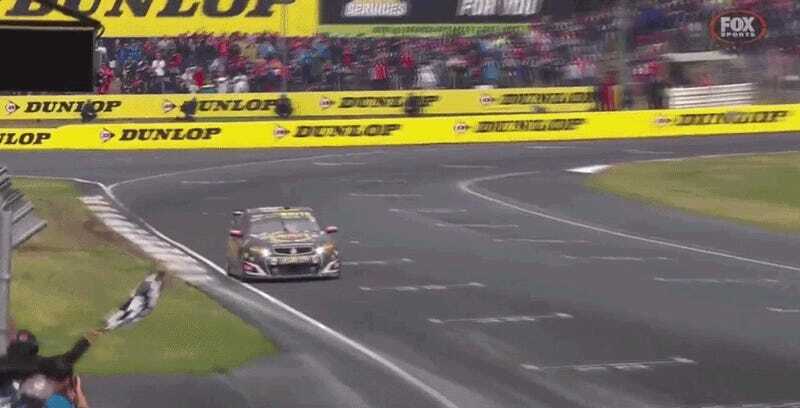 The announcers described this as a David versus Goliath win as David Reynolds was driving at the end of the race, and they couldn’t have nailed it any better. Not even the most ardent Erebus fans probably expected Erebus to take the Bathurst win this year, but Bathurst is always full of wonderful surprises. “I’m sorry, I just can’t talk. 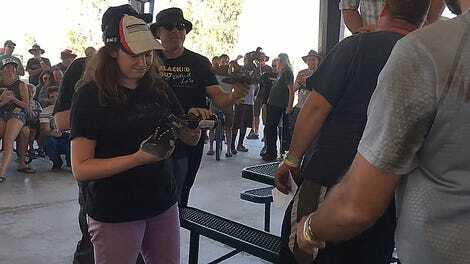 It’s just too much,” said team owner Betty Klimenko. Reynolds was so excited that he kicked off one of his shoes into the crowd after getting out of his car. Reynolds later piggybacked Youlden onto the podium. I mean, you can’t get your socks too dirty. But never fear—Reynolds did a celebratory shoey on the podium anyway. As you should.